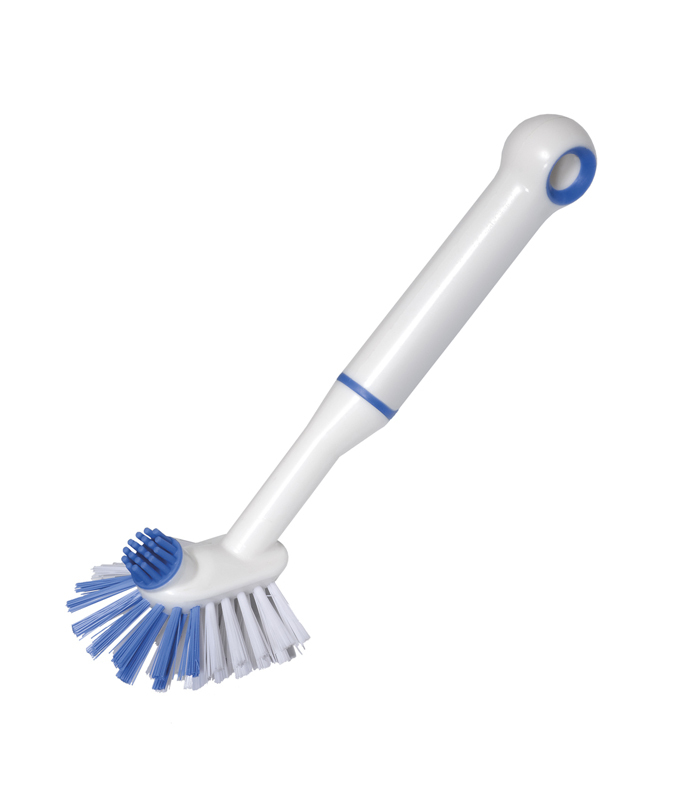 It has rubber bristles to remove grime and lipstick marks. Ergonomic comfort grip handle. Floats making it easy to find in soapy water.